After studying French at the University of Louisville, Joan Herbig realized that her liberal-arts background wouldn’t easily open the door to a career offering all that she wanted – constant change, intellectual challenge and professional risks. However, during one of her first jobs, with an insurance company in Raleigh, North Carolina, she met a co-worker who was building a computer, sparking a life-long interest that has led to a leading role in high-tech companies. Mrs. Herbig’s interest in computers led her to enroll in a master’s program at the University of Kentucky, where she earned her M.S. in computer science in 1986. Today, some 25 years later, she is the CEO of ControlScan, a leading ecommerce security and PCI compliance solutions company in Atlanta. Mrs. Herbig is a highly respected technology entrepreneur in the software and wireless field. She has served in many roles throughout her career and has managed her teams to consistently successful outcomes. From 1987 to 1995, she served as a senior product line manager with Digital Communications Associates (DCA), where she was responsible for marketing and product management of the company’s Windows, Windows NT DOS and OS/2-based mainframe and midrange host access software product lines. In 1995, Mrs. Herbig joined XcelleNet, quickly rising to vice president of marketing. Three years later, the company was acquired by Sterling Commerce and she became president of Sterling Commerce’s managed systems division. Her affinity for challenges would test her in exciting new ways as the managed systems division was spun off from Sterling Commerce and the remaining operations again were named XcelleNet. While the company had exceptional technology and a loyal customer base, it faced major operational issues. Along with a group of financial backers and a hand-full of dedicated employees, Mrs. Herbig set about to save the company. The team succeeded and breathed new life into the corporation, reaching many of its goals. From 2005 until its acquisition by nCircle Network Security in May of 2007, Mrs. Herbig was CEO of Cambia Security, Inc., a leader in the configuration auditing space. As CEO of Control Scan since September 2007, Mrs. Herbig is responsible for business operations and is focused on growing the company’s revenues and expanding its position as a leading PCI compliance and security provider focused on small-to-medium-sized merchants. In 2008, she was selected as one of Atlanta Woman Magazine’s twelve Woman of the Year honorees, an award that recognizes excellence in personal and professional efforts in leadership and community support. 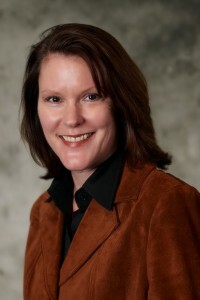 She’s also been recognized by her industry peers as a leading executive, being named “Woman of the Year in Technology” in 2001 by the Technology Association of Georgia. She currently serves on its Board of Directors and served as its Chairman in 2008. Mrs. Herbig lives in Atlanta. Her husband, Joe, passed away in 2017. They have two daughters.